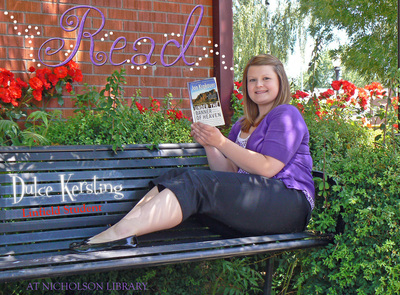 Dulce Kersting, Linfield student, class of 2011, reading Under the Banner of Heaven: A Story of Violent Faith, by Jon Krakauer. Terry, Paula and Nicholson Library Staff, "Dulce Kersting READ Poster" (2009). READ Poster Gallery. Image. Submission 52.